A student-led campaign at Ryerson University is pushing for the school to change its name out of respect for residential school survivors. But the proposal from the Ryerson Students Union and the Indigenous Students Association has prompted considerable backlash from the wider student community. A student-led campaign at Ryerson University is pushing for the school to change its name out of respect for residential school survivors. But the proposal from the Ryerson Students Union and the Indigenous Students Association has prompted considerable backlash from the wider student community, who criticize it as being impractical and disrespectful in its own right. The downtown Toronto university is named for Egerton Ryerson, a pioneer of public education in Ontario who is widely believed to have helped shape residential school policy through his ideas on education for Indigenous children. The school has previously stated that Ryerson's ideas did help contribute to the system that has since been described as a "cultural genocide" and acknowledged the need to commit to respectful relationships with Indigenous students. The request for a name change is one of 11 demands the students union posted on its Facebook page on Canada Day under the hashtag .resist150. Others include removing a statue of Ryerson that currently stands on campus, creating an Indigenous-only space for students, and implementing mandatory Indigenous content in all programs. But the demands have sparked controversy both in and out of the union. Union president Susanne Nyaga said at least one executive member has expressed a desire to rethink his position on the issue, and the union itself may have to revise its stance after further discussions. Students outside the union, meanwhile, have decried the idea of changing the school's name. 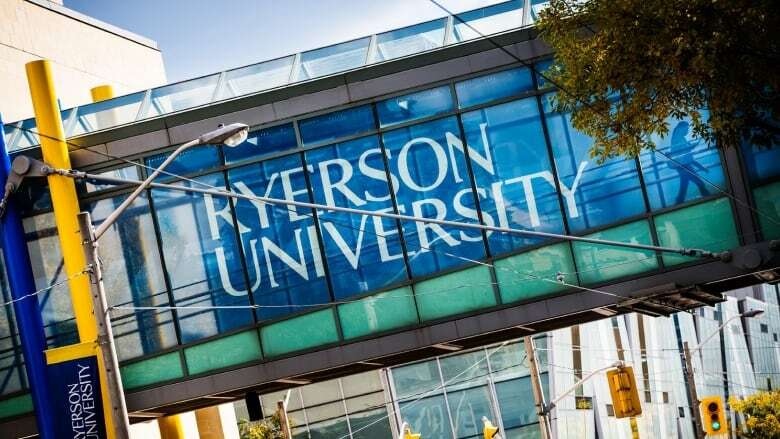 They've pointed out the financial costs of a major rebranding, expressed concerns that changing the name could pose problems for previous graduates who hold a Ryerson diploma, and argued that expunging Egerton Ryerson's name and likeness from campus is not a sound way of acknowledging a dark episode in Canada's history. "The statue must remain, and the name of the school," wrote one Facebook poster identifying herself as Indigenous. "Why? It's the history of the school. You do not have to agree with it, but it is the history of what people back then were thinking. It is a reminder... No ones hands are clean when it comes to the history of Canada." The demand that drew perhaps the highest number of critical or derisive comments states that the school should "change the name of Ryerson University to a name that does not celebrate a man who supported and created the structures of colonial genocide." Other demands include implementing three specific recommendations from the Truth and Reconciliation Commission, as well as more modest ideas such as hosting at least one annual powwow per year and encouraging the adoption of the orange shirt campaign to commemorate residential school survivors. Nyaga said it was Indigenous student groups on campus that initiated the campaign, not the union itself, which operates independently of Ryerson University despite being funded by student dollars. She said those groups have long considered Egerton Ryerson's legacy as problematic. "These conversations have been happening amongst Indigenous students for years," she said. "The difference is that the RSU is supporting Indigenous students and standing in solidarity with them this time." But solidarity is not yet established internally, she acknowledged, saying the next union board meeting on July 19 will likely feature some discussion of the issue. It is possible that the union may wind up withdrawing its support for the demands, she said, adding that she personally supports them all. The university said in a statement that it was looking forward to hearing the union's concerns so they could work together productively. "Ryerson University values the equitable, intentional and ongoing engagement of equity, diversity and inclusion within every facet of university life," the statement said. "As always, we invite any students or student groups with concerns to contact university administration directly." The school had previously acknowledged the problematic legacy of its namesake. In October 2010, the school issued a statement describing Egerton Ryerson as someone who believed in different systems of education for Aboriginal and non-Aboriginal children. "These beliefs influenced, in part, the establishment of what became the Indian Residential School system that has had such a devastating impact on First Nations, Metis and Inuit people across Canada," the statement said. "While Egerton Ryerson did not implement or oversee Indian Residential Schools, his ideas were used by others to create their blueprint. It is important to acknowledge this connection and in so doing emphasize the university's ongoing and proactive commitment to respectful relationships with Aboriginal communities." This is the second time in recent weeks that the names of residential school architects have come under scrutiny. Late last month, the name of founding father Hector-Louis Langevin was stripped from the building that houses the Prime Minister's Office on Parliament Hill. Prime Minister Justin Trudeau said the government was responding to feedback that there was "deep pain" associated with seeing the name on a government building. He said the building would now simply be called the Office of the Prime Minister and the Privy Council.